Loved & well cared for brick home offering over 2 acres,3 bd, 2 baths, full basement, a small barn, as well as an outbuilding. Hardwood floors throughout most of the home, central air. Unbelievable views from Covered front porch and back deck looking out toward some of the most scenic land that Greenbrier County offers - overlooking the Richlands& Murlunda Farms. Country living with city convenience, just 2 miles from downtown Lewisburg. 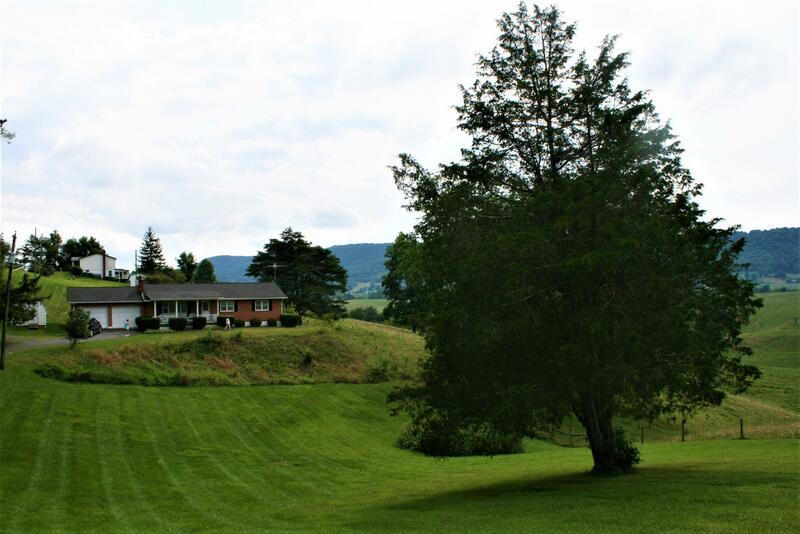 Beautiful spot, nice home allowing you to soak in the beauty of Greenbrier County! This property boasts a wonderful, well cared for home, huge front and back yard areas, grape vines, apple trees, barn, wonderful views - 5 minutes from town and ALL for a very affordable price! Won't last long!